“We are from Brooklyn, we come from the same place. 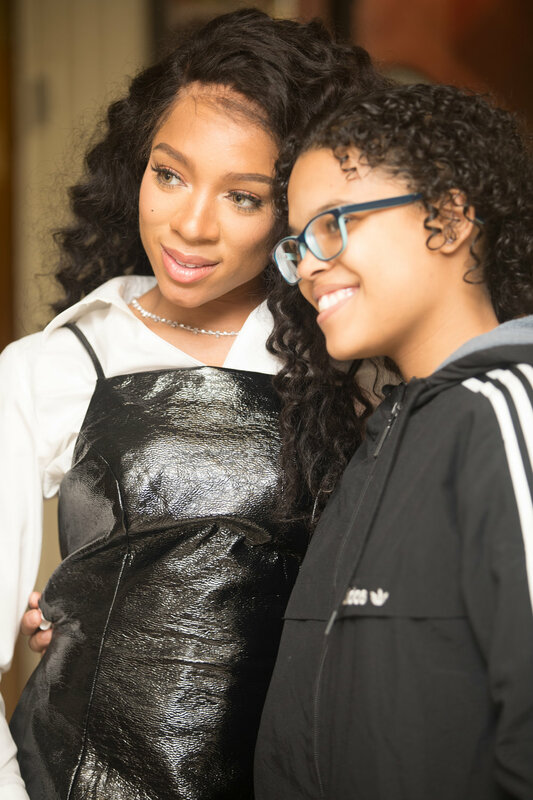 If I realized my dreams, you can do it, too,” said Niatia Kirkland, better known as Lil Mama, in a one-hour surprise visit to Progress High School for Professional Careers in Brooklyn, NY. In an effort to inspire and encourage students, Lil Mama shared her success story and urged young men and women to finish their education. Born in Harlem and raised in Brooklyn, Lil Mama felt a personal connection to the more than 40 students, primarily Latino and African-American, gathered to hear her message. Best known for her roles in TV movies such as CrazySexyCool: The TLC Story, with Keke Palmer and Drew Sidora and When Love Kills, with Lance Gross and Tami Roman, Lil Mama’s first break was in 2007 with her hit single Lip Gloss. She then went on to star on America’s Best Dance Crew, alongside fellow judge JC Chasez and host Mario Lopez for seven seasons. "Often times, the closest people to us discouraged us from pursuing what might seem abstract or unrealistic career interests. Please be aware of the naysayers and non-believers. They will hold you back." Lil Mama’s visit was more than just charity work or good publicity; it was an example of one way she is using her celebrity status to help empower young men and women. By sharing her story, we hope to inspire to do the same and providing them with a success story from someone real and relatable. So let’s help build and encourage future champions because you just might be the first person in their lives who has ever told them they can do it!